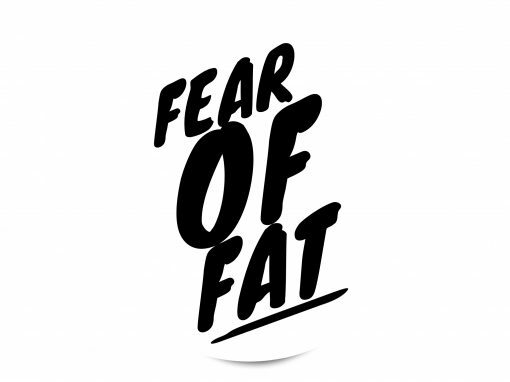 Fear of Fat - Say It, "Rah-shay"
Several times this week I’ve been complimented on weight loss and I ain’t gonna lie; it felt good. Like, I *know* that I should be more concerned about my health and well being but yo, the compliments were nice. Losing weight has been accidentally on purpose. I’m in a play and part of me wanted to make sure I look good on stage (vanity…thy name is “Rachee!”). I also know that I like to have an active storytime at work and there is nothing worst than sweating halfway through the warm up and being out of breath for the first few stories. (And yes, I am aware that one can be heavy and fit but *I* am one who is not heavy and fit). A change in diet contributed to a slimmer Rachee. My family has adopted a plant based, NOT vegan diet due to illness; and fruits and veggies actually do do a body good. Mostly I am not as puffy because I no longer have to take prednisone and I am not swollen and puffy nor am I eating everything in sight all day long. It’s a slippery slope, weight loss is. As a mother of a teen young adult, I am constantly telling her that she is not her weight. Yet, at the same time, I find myself mentally calculating the amount of calories in a thing I am about to eat and what those calories will cost in terms of exercise or future meals. Growing up in a fat family the message was fuzzy: “Don’t eat that!” Mom would cry as she asked for double meat on her sandwich or indulge in some treat, only to later go on about her size and asking “Do I look fat?” when getting dressed. My aunt recently lectured a friend about weight management for the friend’s child, stating that weight management for a SEVEN YEAR OLD would result in happy teenage years. She, my aunt, seemed quite surprised when I called out the effects of that weight management for the adult years but stood her ground stating that getting teased for being fat was something that no child should have to go through. What age is it when one is made to feel ashamed about one’s size? We love fat, squishy babies, because ohmahgah that sweet belly poking out from under their tee and those dimpled thighs are so adorable. We squeal when a toddler’s chubby hand takes ours but when that squishy hand or belly belongs to an overweight 44 year old? Side eye and groans all around. While I embrace the changes that my body is going through, literally in sickness and in health, I struggle with feeling and owning that “I am not my weight” while all the time celebrating a number on a scale. However, when it comes to weight, my partner is an exception. The Librarian seems to have missed the memo that there should be some shame associated with his size and has embraced that he is a big dude. His enjoyment of food has been a source of conflict for me. While I admire the gusto in which he approaches a meal, long behaviors of watching what and how I eat influence my thoughts. I am envious of his ability to enjoy his food without justification and still find myself bartering some future meal instead of allowing moderation as key. I find myself angry at his carefree attitude and I realize that is unfair. So the battle continues to find balance. Doing “the right things” educating myself about eating differently and waking before everyone to get my yoga done does not always feel like a chore. I want to look better naked and even better in my clothes. I need to stave off kidney failure as long as possible but I also want to enjoy a damn doughnut without feeling guilty. And THAT is the trick.